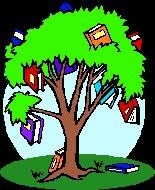 Genealogy Without Brick Walls: The Tree of Knowledge? Collaborative genealogy is a hot topic right now. People who are related to each other build a family tree online that connects in all directions. The goal is to create a huge global family tree including and linking everyone. The pros include connecting with new family and gaining more information about relatives. The cons include losing control of the information on your tree and possibly incorporating inaccurate information in your tree. We have a family tree on Geni.com. One of the more interesting things about the place is that it is a cross between a social networking site and a collaborative genealogy site. Some of our cousins are very interested in expanding their family tree. Others are more social and use it as a place to connect with each other. They write messages and celebrate birthdays and anniversaries. It is really fun to meet new cousins on Geni.com (we also get tons of photos, old and new) and we do our best to avoid the cons of collaborative genealogy. We make sure our family tree information is on our computer in a separate genealogy program that we control so it cannot be changed by others or lost on the internet. We vet all information before adding it to our family tree so we can reduce the amount of inaccurate information in our tree. Additional research is always needed; collaborative genealogy is incomplete genealogy. We try to find as many copies of applicable original US and European records as possible to back up our information. I have a piece in the Fall AVOTAYNU challenging the lead articles by Randy Schoenberg and my cousin Adam Brown - on precisely this subject. I know that Randy received an advance copy and is preparing a rebuttal for the Winter issue. Anyone want to join the tag team on my side? This will not end soon. Thanks Israel! Looking forward to reading your article. Your articles are always interesting and informative.